Think about this. Where do cities and municipalities get their water? What feeds into the reservoirs? Do animals and humans use these rivers, streams and reservoirs? How then do you trust the water running from the faucet? Would you be able to tell if your tap water had pathogens, such as Legionella, Cryptosporidium, or Giardia in it? How do you know it is safe to drink? What does “safe to drink” even mean? We generally trust water from kitchen sinks, drinking water fountains, and even garden hoses to be generally safe to drink, because it comes from public water distribution systems. But prior to 1974, there were no laws that regulated what is or is not allowed into drinking water, how to disinfect municipal (raw) water, or how to maintain water-related infrastructure. Because of this, Senator Warren Magnuson of Wisconsin introduced the Safe Water Drinking Act (42 U.S.C. 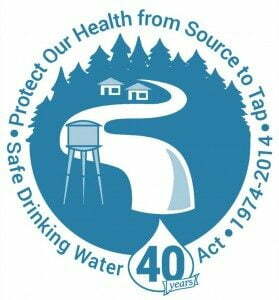 § 300f) in 1974 to require that the Environmental Protection Agency (EPA) ensure that the water that runs into our homes and buildings are safe. The EPA is now responsible for setting the standards for drinking water and supervising state and local water systems. Microorganisms in the drinking water supply pose a significant health risk to the population. Because of this, public water systems have a threshold of 0.0 mg/L for Cryptosporidium, Giardia lamblia, Legionella, total coliforms (bacteria), and enteric (GI) viruses. If any level of these organisms is found, there are severe consequences. Unfortunately, despite this stringent stance on these microorganisms in the water, it is only a non-enforceable goal. The EPA and other workers of public water systems admitted that the bacteria are ubiquitous from the municipal water source to the tap. Why do government officials even permit Legionella and other microbes in our water distribution systems to reach our homes or offices? Why is there no huge movement from the EPA to maintain the microbial levels at zero as suggested by the regulations? Despite these questions, the Safe Water Drinking Act is an important piece of legislation that protects the public every time you turn on the faucet.